About 8.6 million people in the U.S. have at least one serious illness caused by smoking. Among current smokers, chronic lung disease accounts for 73 percent of smoking-related conditions. Smoking harms nearly every organ in the body, and is a main cause of lung cancer and chronic obstructive pulmonary disease (COPD, including chronic bronchitis and emphysema). 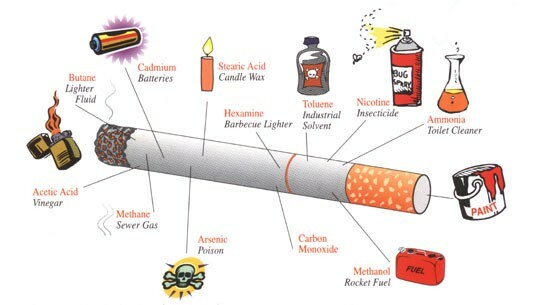 It is also a cause of coronary heart disease, stroke and a host of other cancers and diseases. Smoking in pregnancy accounts for an estimated 20 to 30 percent of low-birth weight babies, up to 14 percent of preterm deliveries, and some 10 percent of all infant deaths. The following is a presentation prepared by Marcia Brown-Machen, M.P.H., Program Director for the City of Berkely Tobacco Prevention Program.